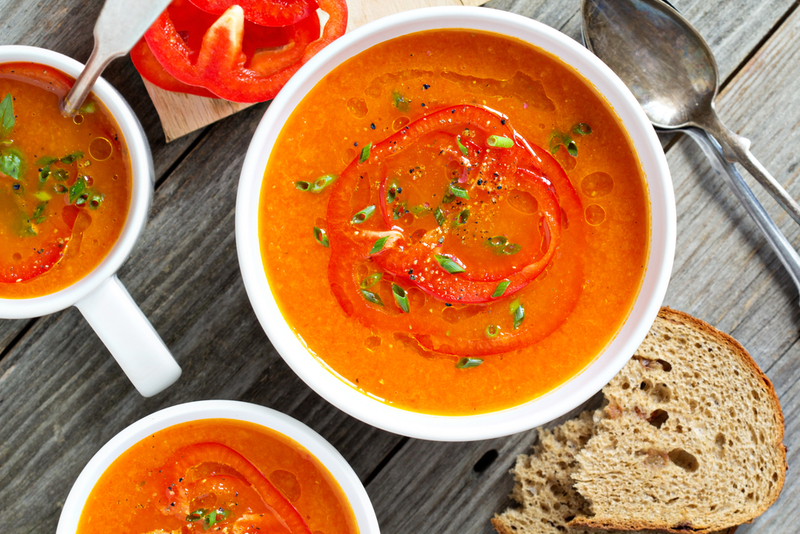 This soup brings warm and complex tones to your meal with smoky paprika, cumin and coriander. You may enjoy serving it over cooked rice or with goat cheese sprinkled on top. Heat up olive oil in a soup pot over medium heat. Add onion and garlic. When onion is translucent, add paprika, cumin, coriander and cook until heated. Add stock, carrots, and red pepper and simmer until peppers and carrots are tender. Approximately 15-20 minutes. Blend with emulsion blender or place in blender until smooth. Add lemon juice and salt and pepper, to taste. Add chickpeas and heat through.